DNA evidence should never be relied upon by detectives reopening previously unsolved murder investigations, a scientist has said. 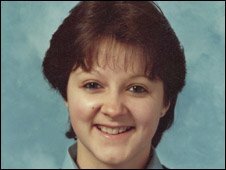 The claim comes as Paul Stewart Hutchinson, 51, of Stockgill Close, Gamston, Nottinghamshire, pleaded guilty to the murder of Colette Aram who was killed in 1983 when he appeared at Nottingham Crown Court. The Hutchinson case will come as a major boost for supporters of the controversial DNA database, as Hutchinson was only caught because one of his relatives had previously given police a DNA swab for a minor offence. The officers who took the swab, which is now standard procedure, could never have known it would later play such a vital role in solving one of the country's most horrific unsolved murder cases. But since 2003, experts have been able to carry out familial DNA searches and officers linked 50-year-old Hutchinson to a minor offence committed by a relative. Despite forming a DNA profile in October last year, it produced no exact matches. Detectives had to wait another six months to get the breakthrough they needed - a familial search flashed up on their screen as a match for Colette's killer. However, even then the job for Nottinghamshire Police was not over, as officers re-opening cold cases cannot rely on DNA as conclusive evidence. Fortunately, officers found another link - a print taken from Hutchinson when he was arrested matched a print left on a letter sent to detectives, taunting them over their failure to catch him in the weeks after the murder. Eleanor Graham, from the East Midlands Forensic Pathology Unit at the University of Leicester, believes DNA should not be relied upon as the only form of conclusive evidence. She said: "I know scientists get into trouble in court because the lawyers try to push them to say about how a stain got into an area. "I don't think DNA should ever be used on its own, although it can provide incredible intelligence." Colette Aram was 16 when she decided to walk to the home of her boyfriend Russell Godfrey, who lived 20 minutes away in the Nottinghamshire village of Keyworth. She was snatched, raped and strangled before her body was dumped in a cropped field a mile-and-a-half from her home. The attack was the first to feature on the BBC's Crimewatch series six months later. Police received 400 tip-offs from the show and ruled out 1,500 suspects, but no-one was caught. Even when officers pieced together a DNA profile of the killer in October last year, there was no match on the database, which now holds more than five million samples. By chance it was in 1983 - the year that Colette was murdered - that the first breakthrough in DNA technology came. Then, Kary Mullis conceived the Polymerase Chain Reaction, a process which allowed minute quantities of DNA to be "amplified" to create a strain different in every individual. 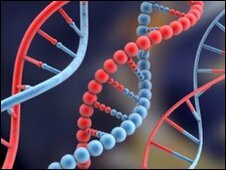 Sir Alec Jeffreys, from the University of Leicester, discovered what has commonly been termed as DNA finger-printing, which found markers that would allow family relationships to be determined through DNA.